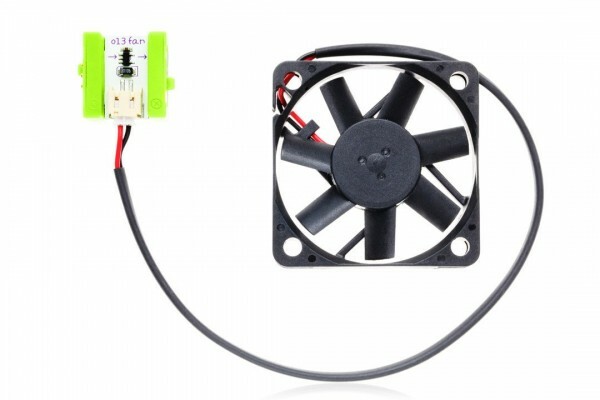 The fan Bit is a small electric fan tethered to a Bit. Use the fan to create a gentle breeze, perfect for cooling things off or blowing bubbles. You can also try taping small things (like stickers or pieces of paper) to the center of the fan for some spinning visuals. Weiterführende Links zu "littleBits FAN"